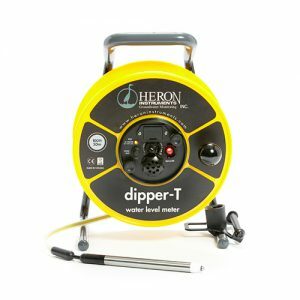 Heron Instruments offers the variety of water monitoring equipment certified for marketing in Europe, Asia, Africa and North America. Company, headquartered in Dundas, Canada, constantly conducts researches and develops its products to win the laurels of the best producer of the water measuring instruments. 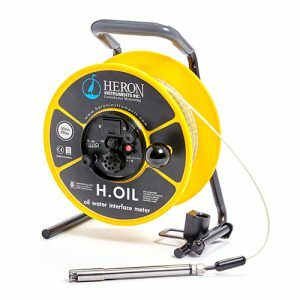 The first tool produced by Heron Instruments was the H.OIL oil/water interface meter that became popular firstly in Canada, and then was distributed in USA and all over the world. It was in 1995, and since that time HI developed the wide range of accurate, reliable and long-living devices that provide users with the full array of measurements and continuous monitoring of water levels and quality in all surroundings, surface and ground waters, in natural and artificial reservoirs. We want to introduce you the list of instruments made by Heron company available on the market. several models of groundwater data loggers provide accurate long time monitoring of water level and temperature in various waterbodies, and the borehole inspection camera Dipper-See allows hands-free wide angle viewing the wells and open water basins. All instruments are made of robust and longwearing materials resistant to high temperatures and pressures, contaminants and hazardous environment. Water Environment Federation and others. Enjoying the world-wide popularity, the Heron Instruments production is distributed in all corners of Earth. Our online store ENVIEQ signed the contract and now we are the official distributor of their equipment and tools. And now we can propose to our clients the best quality instruments, but also available for fair acceptable price.